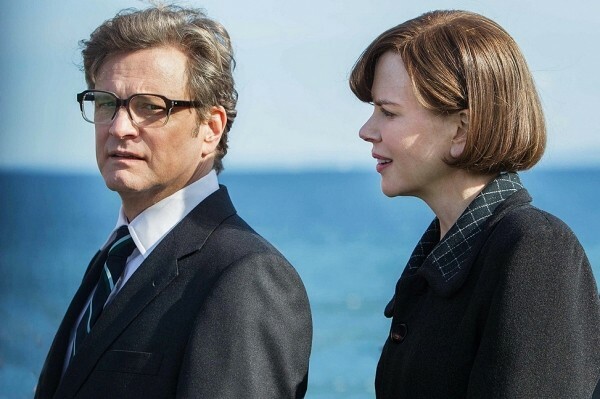 The Railway Man starts out like a sweet little romance, when Colin Firth meets Nicole Kidman somewhere near Edinburgh in 1980, on a train he’s only on because his encyclopedic knowledge of train schedules is allowing him to compensate for an unexpected delay in his travel plans. “I’m not a trainspotter,” he assures her. “I’m a railway enthusiast.” Later, he is able to contrive a second meeting with her because of his, yes, trainspotting superpower. Soon, they are getting married. Though not on a train. But The Railway Man is not a sweet little romance. It’s a story about PTSD—though from a time before it was called that—and an urge for revenge that turns into a desire for reconciliation and forgiveness. The forgiveness thing is part of what earned the true memoir by Eric Lomax—the guy Firth is playing here—its acclaim. And the major problem with The Railway Man movie is that it almost entirely ignores this amazing thing that makes the story worth telling. To our eyes, this all looks very sudden: Was he having such violent episodes before, or is this a new development? If Patti, his new wife, has witnessed anything like this prior to the first one that ends up onscreen, on their actual wedding day, we have no indication of it. We can begin to suppose that Eric had a Bad War, thanks to the narrative flashbacks, but poor Patti! Is she suddenly wondering what she has gotten herself into by marrying this guy? We get to see what happened to Eric, and the 1942 sequences are the most powerful in the film ... though perhaps not always in ways intended. Eric and his fellow Brits are forced into slave labor building the notorious Burma-Siam Railway—the one that would later become infamous thanks to the film The Bridge on the River Kwai—and Eric’s railway enthusiasm gets him into trouble with their captors. Bad enough that they discovered the radio he jury-rigged to hear news of the war from the outside world, but they also found the map of the railroad he made, because that’s how much of a train nerd he is. But the Japanese figure him for a spy. And so he is tortured. Director Jonathan Teplitzky pulls no punches. It is deeply unsetting listening to young Eric scream incoherently as he is waterboarded. It’s even more deeply unsettling wondering how many viewers who will find it deeply unsettling to watch nice, cute, white, innocent Jeremy Irvine brutalized onscreen will be OK with the same treatment dished out by the nice, decent civilized West in the 21st century. When older Eric returns to Thailand in the ’80s and confronts one of his torturers, interpreter Takashi Nagase (played as a young man by Tanroh Ishida, and later by Hiroyuki Sanada), he tells his former tormenter: “No one would believe it. No one would believe what you did to us.” Except, yeah, we would, because we’re doing it again now. And proudly. If The Railway Man had let itself end on the notion that for battered, almost-broken Eric, the war never ended—which is the overwhelming emotion it leaves us with—that would have been tragic, but it would have been a fitting cap for the story we’d just seen. But it ends with one of those “where are they now” placards (the real Eric Lomax just died in 2012) that informs us that, oh, hey, Eric forgave Nagase and they totes became best friends. Which induces a sort of narrative whiplash, because: What? We haven’t see any inkling that Eric might be willing—or able—to forgive. We shouldn’t still be angry or confused or upset at the end of this movie. The relief it implies its characters are afforded doesn’t make its way to us. That train got derailed somewhere along the journey.